School bus crashes are among the most tragic of all motor vehicle accidents due to the inherent involvement of young children who are not wearing seatbelts. 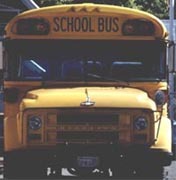 Each year, over 33% of all traffic fatalities are school transportation–related. School bus accidents often result in serious, debilitating injuries and death to young children, who will have to live with their injuries for the rest of their lives. As a result, substantial damages are often at issue in cases of this type, and vigorous representation is required to bring all responsible parties to justice. At RobertsMiceli LLP we use our experience in handling school bus accident cases to investigate every possible contributing cause of an accident to ensure that you will receive full compensation for your injuries.